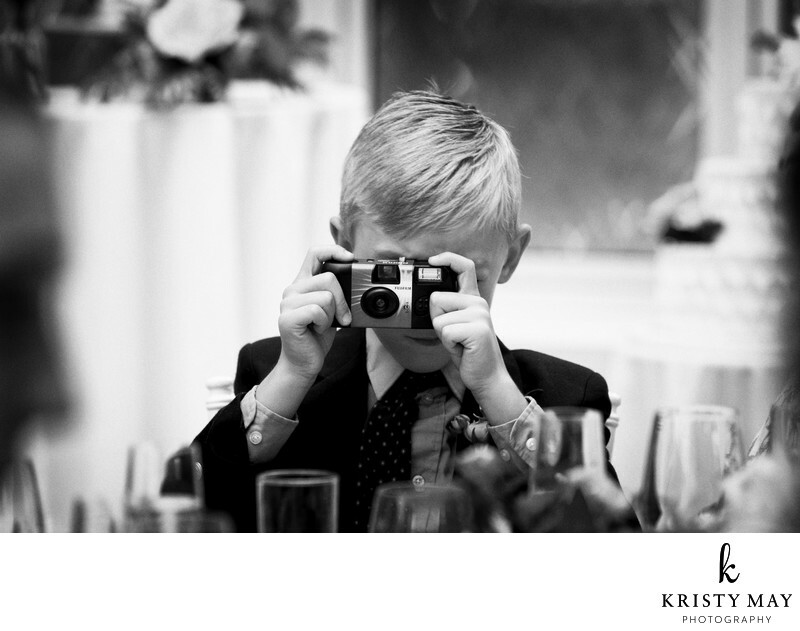 A young boy takes a photo at a wedding with a disposable camera at a wedding at Brooklyn Botanical Garden. Having activities to entertain the youngest guests your wedding is a great idea. Their parents will thank you, they will have fun, and it can even lead to memorable moments. Some idea include, disposable cameras (with a scavenger hunt card), coloring books, games, special food or a food station for kids. If you are having a small number, make a personalized gift of a toy or activity that will keep them occupied. Age appropriate gifts like water based coloring pads , sticker collections, craft kits, (avoid glitter or messy ones!) even a credit to iTunes for a new app. (you know it is likely they will have an iPad if old enough). Location: 990 Washington Ave, Brooklyn, NY 11225.